Cold foil printing was a simple idea. Using a standard printing plate, an image is printed onto a substrate with the use of UV-curable cold foil adhesive. A UV dryer then activates and cures the adhesive. The extracted foil is affixed to the printed adhesive and an image is created. It was indeed a simple idea yet the cold foil process was elusive to many printers. We spent more than 15 years of research and development, testing, trials and tribulations of the cold foil printing process. We partnered and worked closely with leaders in the flexographic printing industry to better understand the intricate combinations of ink, anilox, printing plates and substrates. The result of all this research is in the pages of Cold Foil for Dummies. If you’ve tried cold foil but couldn’t get consistent results or foil images with fine edges and definition, read on! 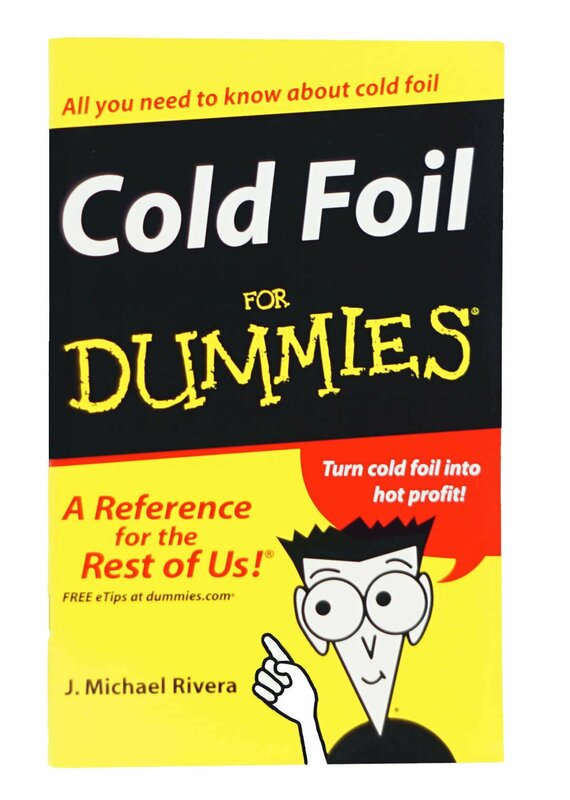 Cold Foil For Dummies answers all questions and explains all mysteries. Discover the proven methods that have helped many printers profit from the cold foil printing process. J. Michael Rivera is the industry’s cold foil expert and author of GO COLD, Handbook for Cold Foil Printing, the first cold foil process handbook.